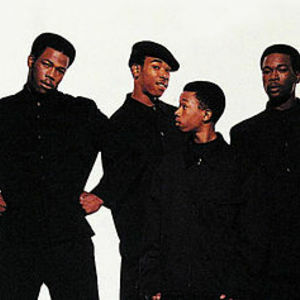 An R&B quartet comprised of the four Dalyrimple brothers -- Brian, Chris, Dre, and Jason -- Soul for Real [+] formed in 1992, though the siblings had spent many hours singing in their church choir. Signed to Uptown Records, Soul for Real [+] debuted in early 1995 with Candy Rain [+]; by the end of the year, the album had gone platinum and reached number 23 on the album charts. After touring both America and overseas, the group worked with producers Heavy D.
and Sean "Puffy" Combs to record For Life [+]. 1999 saw the release of a third album, Heat.